No. 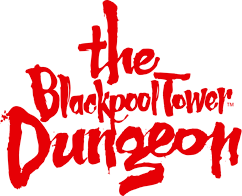 The Blackpool Tower Dungeon brings together an amazing cast of theatrical actors, special effects, stages, scenes and a ride in a truly unique and exciting walk through experience that you see, hear, touch, smell and feel. It’s hilarious fun and it’s sometimes a bit scary.